An Israeli hospital is pioneering a trial examining the use of cannabis for autism. Researchers at Shaare Zedek Medical Centre, in Jerusalem, are using cannabis compounds cannabidiol (CBD) and tetrahydrocannabinol (THC). CBD is the non-psychoactive substance in cannabis, while THC is a hallucinogenic compound in the drug. 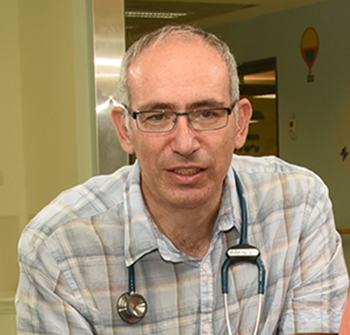 Dr Adi Aran, director of the centre’s neuropaediatric unit, said earlier research on the use of cannabis to treat epilepsy provided the impetus. It was a logical connection to make because epilepsy and autism have close links. Experts estimate that between 20 per cent and 40 per cent of people with epilepsy also have autism. Dr Aran said the new research into using cannabis to treat autism is the first of its kind in the world. The hospital is aiming to involve 120 individuals with autism, aged from four to 30. It said it was seeking those with severe behavioural problems that are resistant to other treatments. So far, 13 participants have started. They range from those moderately to severely affected by autism. Some engage in self-harming behaviours and about 40 per cent do not respond well to existing medication. The researchers think that a small amount of THC may amplify the effects of the CBD. They are therefore giving some participants a mixture of CBD and THC at a ratio of 20 parts CBD to one part THC. This is a level deemed safe for children. The researchers are giving other participants a whole cannabis plant extract. The dose will therefore include cannabinoids, as well as CBD and THC in low concentrations. This will test whether the extract is more effective because of synergy among its chemical compounds, in what is known as the ‘entourage effect’. The scientists are giving a third group an inactive treatment, or placebo. This will carry on for 12 weeks, before a four-week ‘washout’ period. Participants will then take the second mixture or a placebo for another 12 weeks.